The project required the outdoor spaces associated with 3 student residences to be upgraded across 3 residential campus sites at Hawthorn. Stage 1 saw the rejuvenation of the SPS Level 3 roof deck, transformed from a barren concrete jungle to an oasis of deck, grass and greenery. Centred off the main student social space, a large communal sitting area is complimented with built-in BBQ facilities. Softer green spaces have contained either side, with advanced trees to add a vertical feature to the landscape. 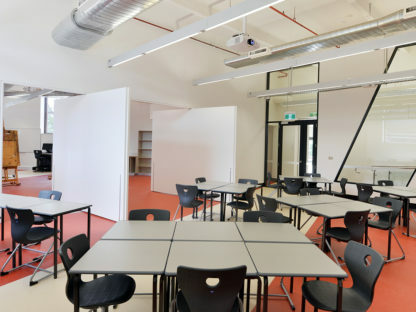 Built-in furniture is included and is designed to aid use by groups and individuals, with particular thought given to the ergonomic use of devices by the students. This upgrade work was important to the student housing operator to ensure the marketability of their offering, staying competitive with other options that the students might consider.